Blue sapphire (Neelam in Hindi) is most loved & appreciated among all color sapphires due to its Perfect Blue Color tone. Blue Sapphire owns a privileged place amongst natural gemstones, thanks to its alluring color and benefits. It is believed that blue sapphire is one of the fastest acting gemstones and also one of the most powerful gemstones. 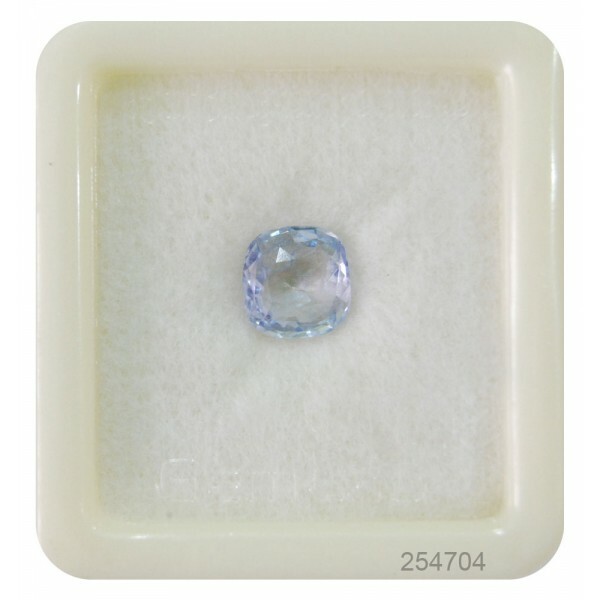 It is a very desirable gemstone due to its excellent color, hardness, durability, and luster. Buy blue sapphire rings online at best price for astrology and engagement rings. We can provide customized gemstone rings as per the customer requirements. When people wear this beautiful stone as per their horoscope’s requirements, they are blessed with wealth, good luck and a smooth and easy life. 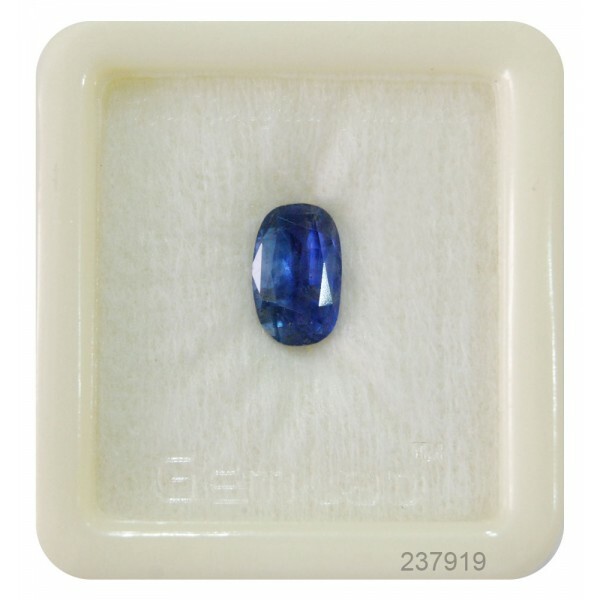 The Blue Sapphire Gemstone in Hindi is as called as the Neelam Gemstone, Neelam Ratna, and Neelam Stone. The Neelam Gemstone is the Gemstone of the powerful Karmic Planet Shani/ Saturn in Vedic Astrology. These are the second hardest element on Earth after Diamonds having the hardness of 9.00 on Mohs scale of hardness. The word sapphire derives from the Greek word sappheiros, which may originally have referred to another blue gemstone, lapis lazuli. Because of its superb hardness, sapphire also has industrial uses. The Apple Watch features lab-created sapphire glass in its screen. Deep blue sapphires have long been associated with royalty. Sapphires were often worn by medieval kings, who believed that the gemstones would protect them from their enemies. Color has the most important influence on blue sapphire’s value. The most highly valued blue sapphires are velvety blue to violetish blue, in medium to medium dark tones. Preferred sapphires also have strong to vivid color saturation. 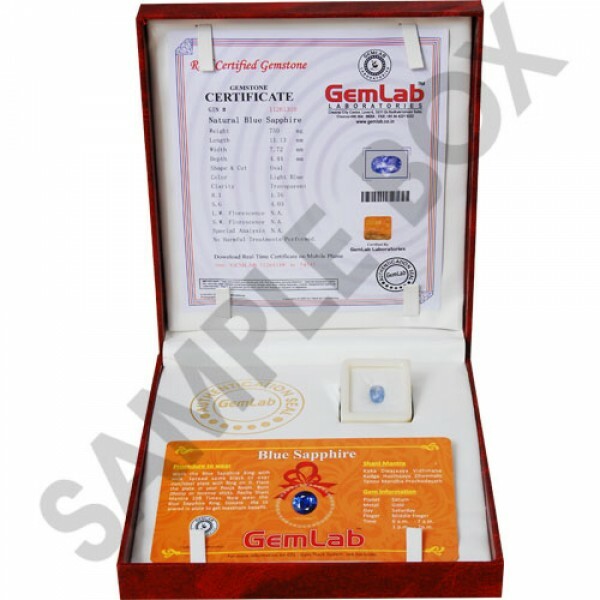 Sapphires with these qualities command the highest prices. Ceylon Blue Sapphire gemstone is the best quality gemstone. 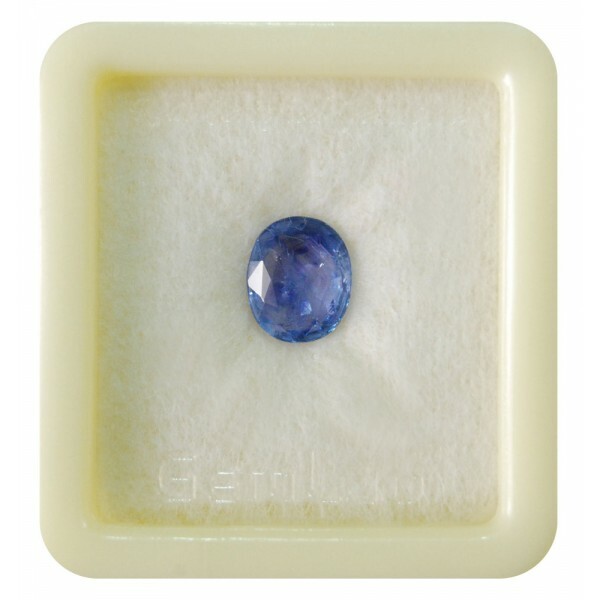 Ceylon sapphires were originally famous for their vibrant medium blue hues. 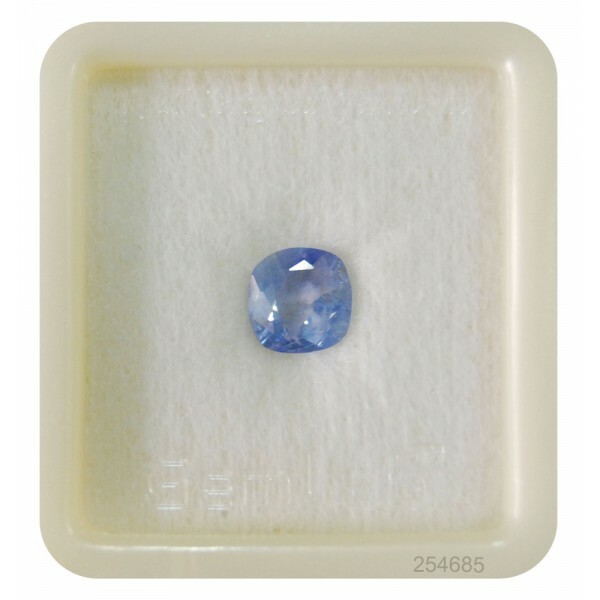 Sri Lanka is the only country that has been producing a never-ending supply of high-quality blue sapphire gemstones. Blue Sapphire creates a charge of positive energy around the wearer’s body that result; you will stay positive and determined towards your work. Blue sapphire is the gem of Saturn that is worn to remove the evil effects of Saturn. Such a powerful stone will bring the wearer wealth, fame, a good name, health, happiness, prosperity, a long life, mental peace. Blue Sapphire blesses with mental clarity, clears confusion and blesses the individual with the correct decision-making abilities. Blue Sapphire has a direct impact on wealth levels. It gives a positive boost in finances. It can bless with multiple sources of income. Blue sapphire also has some health benefits. Wearing the Neelam/Blue Sapphire aids in digestion too. It also helps prevent several stomach related ailments in the individuals. The Blue Sapphire/Neelam stone balances the Crown chakra thereby resulting in the balance of the cosmic energies. It acts like a guardian and protects from other people bad eyes, jealousy, and other negative energies. 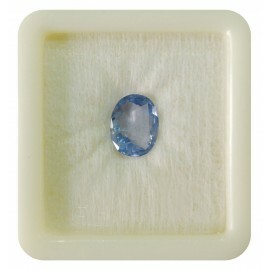 Weight for wearing Blue Sapphire: 3 to 6 carats. 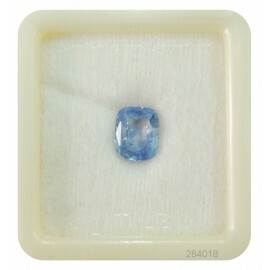 Mantra For Wearing Blue Sapphire: "Aum Sham Shanaish charaaye Namah"
Currently, Ceylon (Sri Lanka) has been a major source of Blue Sapphire Gemstones. 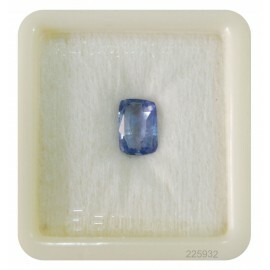 Kashmir Blue Sapphires are the most famous in the world. These are also known as Cornflower Blue Sapphires. 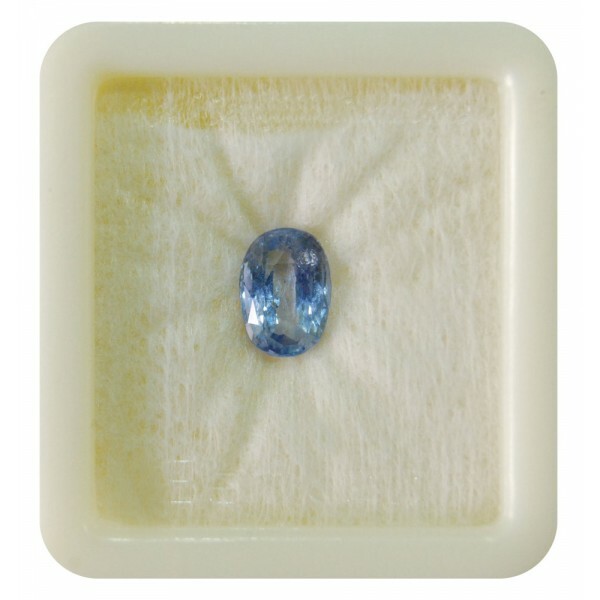 Sri Lankan Blue Sapphires are light in color or you can say they are quite transparent because of the mineral from which they made i.e. “Geuda”. 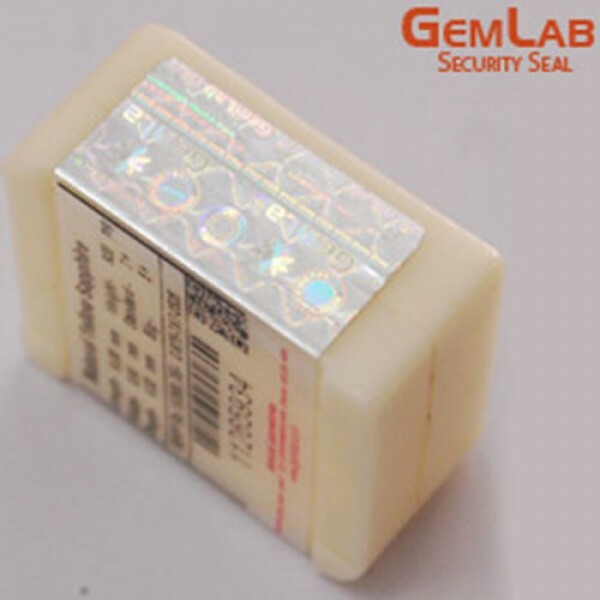 But despite being light in color their quality and demand is very high in the market. 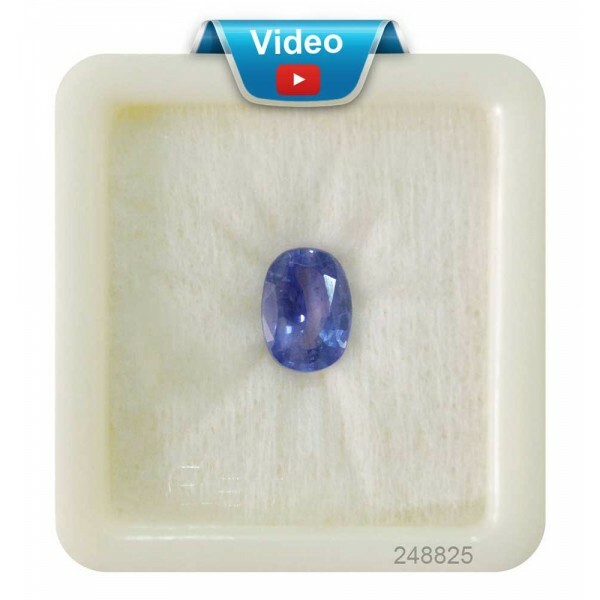 However, there are some other origins which originate good quality Blue Sapphires that are Brazil, Russia, Thailand, Australia, Madagascar, and Cambodia. Sehdev Jewellers directly imports sapphires from Sri Lanka mines. We offer a huge variety of Ceylon sapphires at the very best prices for astrological and jewelry purposes. 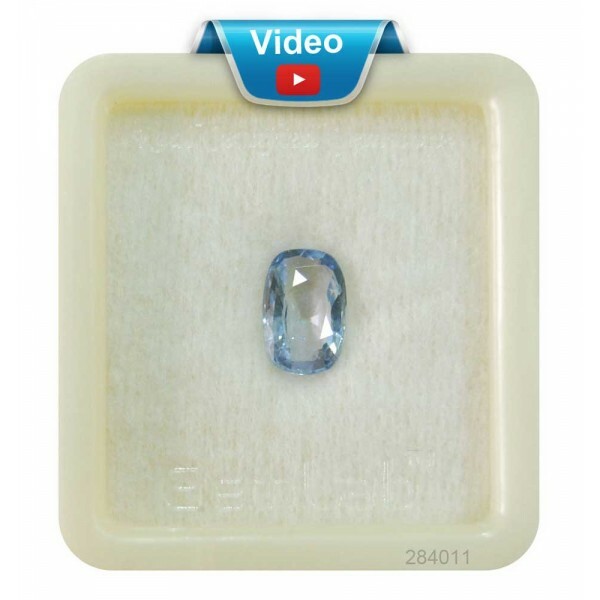 What is the Price of Blue Sapphire (Neelam) Stone? One can refine and filter their choice by price range and carat weight. Blue Sapphire Prices vary depending on the size and quality of the stone. 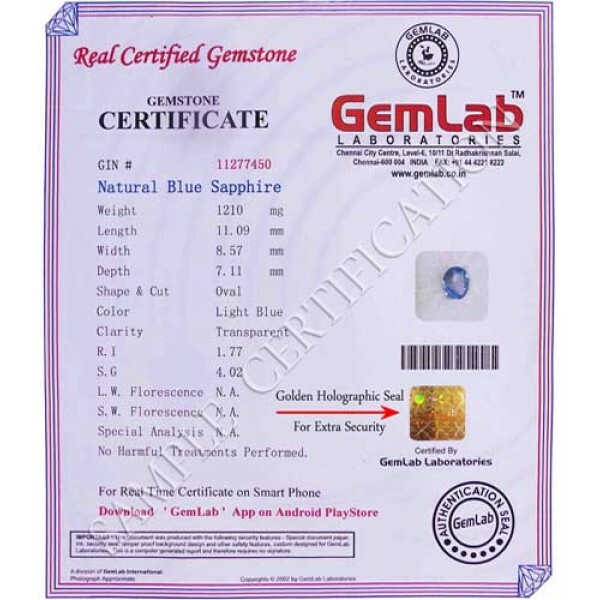 We offer Blue Sapphire Standard Grade, Fine Grade, Premium Grade, and Super Premium Grade. Here are the price of blue sapphire gemstone per carat and per ratti. Price of Premium grade Blue Sapphire Stone: 8040 INR per carat. Price of Super Premium Blue Sapphire Gemstones: 16040 per carat. 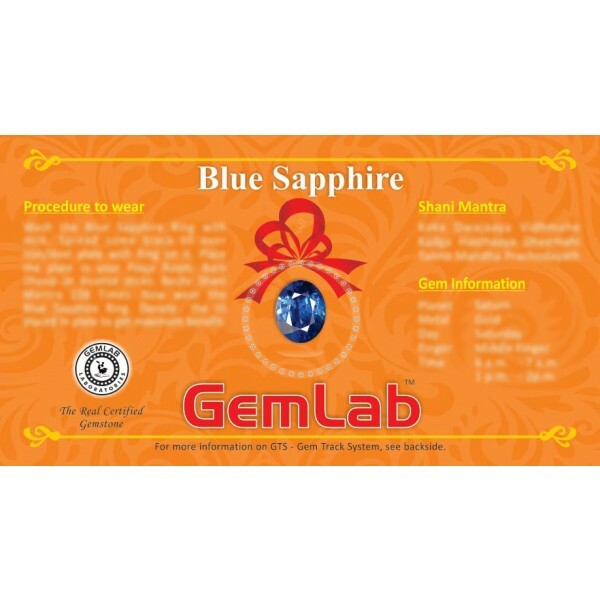 How to Buy Blue Sapphire Gemstone? 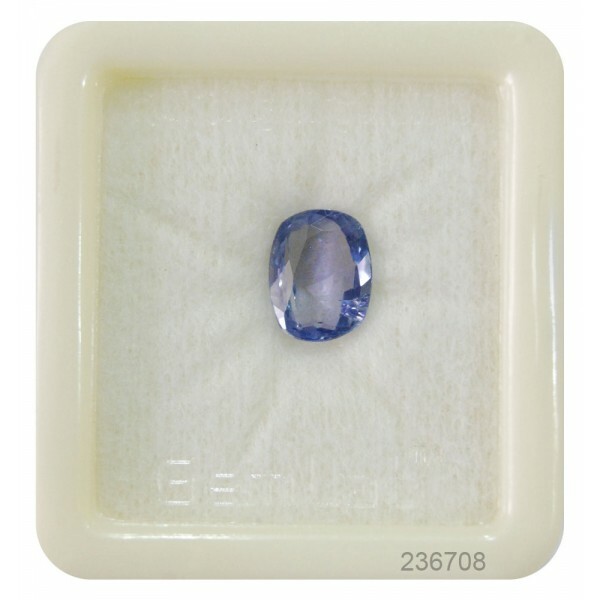 Shop for natural certified Ceylon blue sapphire gemstone from one of the top gemstone dealers at Sehdev Jewellers. 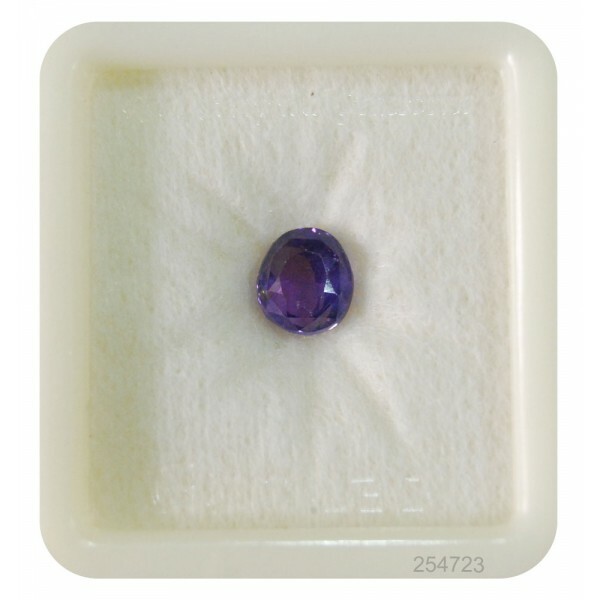 We deal with the natural and certified blue sapphire gemstones which gives the best astrological benefits. We provide our gemstones at the online store of Sehdev Jewellers at reasonable prices. We have a wide range of Ceylon Blue Sapphire Gemstone. Gemstones and jewelry for buyers at every level around the world with fully guaranteed.